Martin Webb is an excellent spokesperson that provides professional advice from his expertise in business. As the TV presenter of 'Risking it All', he is well spoken and always able to answer questions and advise on large variety of business-related topics. Below is an example of the interviews he recorded about local business risks during Christmas time. If you're interested in a businessman for any radio or TV interviews please get in contact with us. 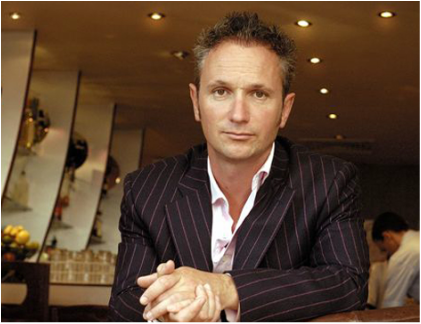 Martin Webb (Born 1970) is a British born entrepreneur and television presenter. ​He presented the series Risking It All aired on Channel 4 in 2005. He writes regular articles for the business supplement of the Sunday Telegraph He attended Queen Elizabeth's Grammar School and Brighton Polytechnic. He was awarded an honorary doctorate in Law by Brighton University in 2008. In 2004, Martin Webb set up Britain's first charity pub. The profits from The Robin Hood pub in Brighton go to local charities. Martin co-founded the C-Side Leisure group with, the now Conservative MP for Brighton Kemptown, Simon Kirby, whose portfolio grew to include many pubs, clubs and restaurants in and around Brighton.